Date/Time - 16 March (Thursday), 3 – 5 p.m.
Christian apologetics plays a vital role in strengthening the faith of believers and their evangelism by offering a defence of Christianity using reason, logic, and evidence. 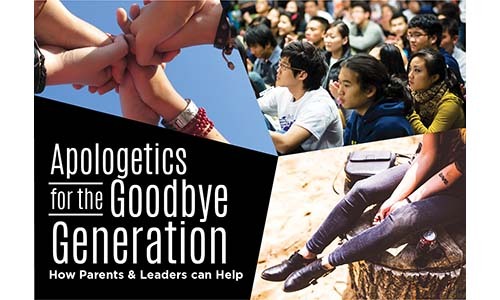 Join two renowned Christian apologists, Dr Craig Hazen and Dr Clay Jones from Biola University and Reasonable Faith Singapore, as they explain how pastors, leaders of children or youth, and parents can effectively use apologetics to address these concerns. The speakers will also share on the reasons why young people leave the Church and how churches can incorporate apologetics into their ministries. Organised by The Bible Society® of Singapore. Entry by registration only. Free admission; love offering will be collected.